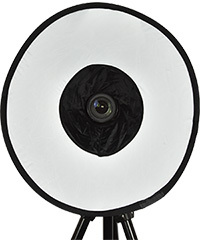 Soft and balanced lighting for portrait and macro photography. 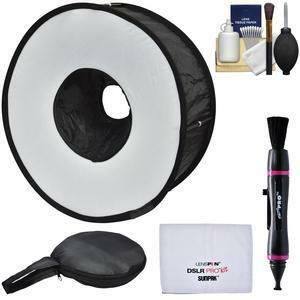 The Precision Design PD-SBR Ring Soft Box Hot Shoe Flash Diffuser converts your shoe-mounted flash into a diffused ring light. 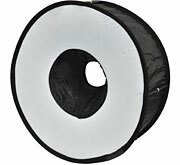 This softbox provides soft and flattering lighting without hotspots, heavy shadows or dark areas on the front surface, thanks to the large 17.7-inch (45cm) ring diameter and internal reflective construction. 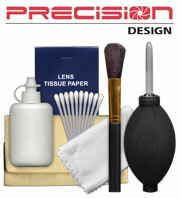 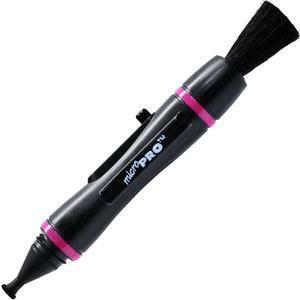 It is well-suited for portrait, fashion and macro photography. 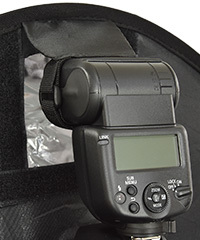 The PD-SBR is compatible with most digital SLR cameras and flashes. 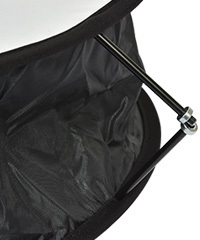 It attaches to lenses up to 3.5 inches in diameter and secures to the flash head via a strap with hook-and-loop fasteners. 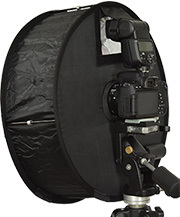 It is designed to work with both standard and telephoto lenses. 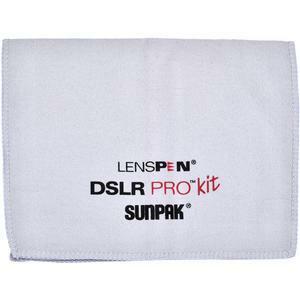 It is also compatible with wide-angle lenses, although some vignetting may occur. 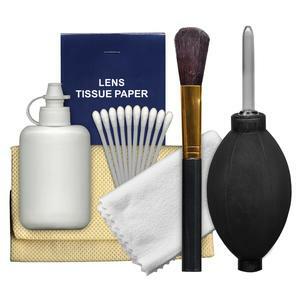 The diffuser unfolds easily and is supported by four foldable magnetic rods. 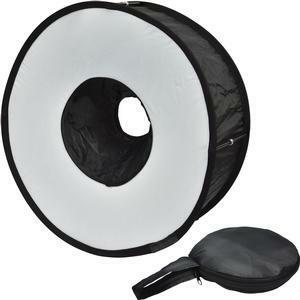 For maximum portability the softbox collapses down to 8 inches and fits into an included zippered carrying pouch.